Take home this highly advanced Sony Cyber Shot DSC-H300 20.1 Megapixel Semi SLR Camera from the house of Sony to change the way you enjoy photography. It comes with highly advanced technology which enables you to click high definition pictures with better resolution. 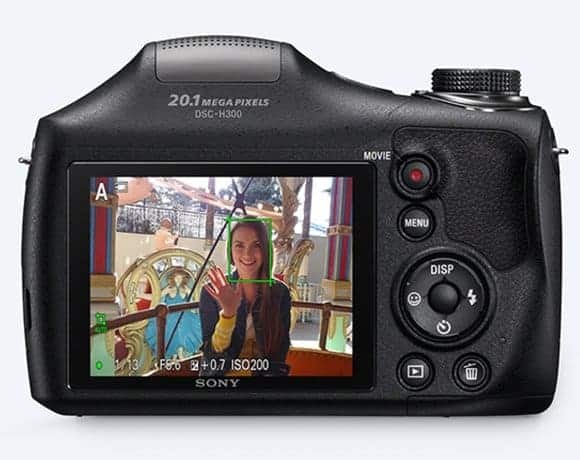 The Sony Cyber Shot 20.1 Megapixel Semi SLR Camera comes with 20.1 megapixel camera lens which ensures to deliver you better and improved images. Having optical zoom of 35 X , the Sony Cyber Shot DSC-H300 20.1 Megapixel Semi SLR Camera is a must have for all the men and women who demand improved picture quality with optimum clarity. With highly advanced TFT LCD 7.6 cm screen the new Sony Cyber Shot DSC-H300 20.1 Megapixel Semi SLR Camera is equipped to allow you better and wider area coverage while clicking pictures or making videos. 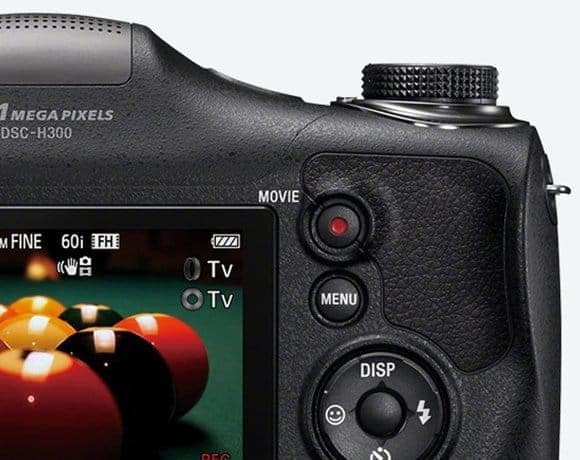 The trendy semi SLR camera supports high definition video recording of 1280 x 720 p video recording mode with 30 fps. With vibration free technology or image stabilizer, the Sony Cyber Shot 20.1 Megapixel Semi SLR Camera ensures to give you the advantage of capturing clear images without blur. Face detection is yet another feature of this highly advanced gadget which makes you click better images each time. The shutter comes with maximum speed of 1/1500 and minimum speed of 30 seconds which increases the number of clicks which you get per minute. With face detection, automatic self timer and continuous clicking gives this camera a special place among the other of its kind. 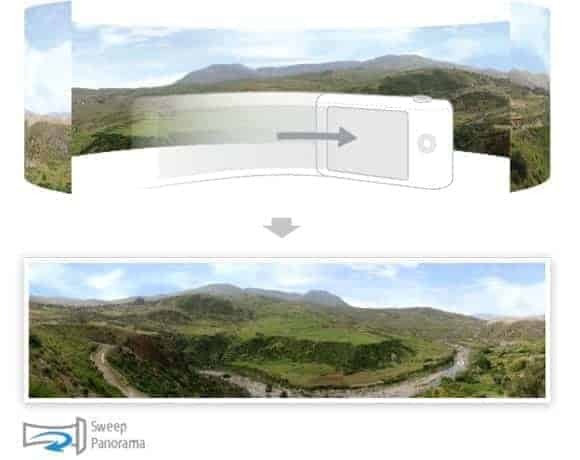 Having scene modes like intelligent auto, easy shooting, program auto, movie mode, panorama, etc. allows you to improvise over the type of image you choose to click. 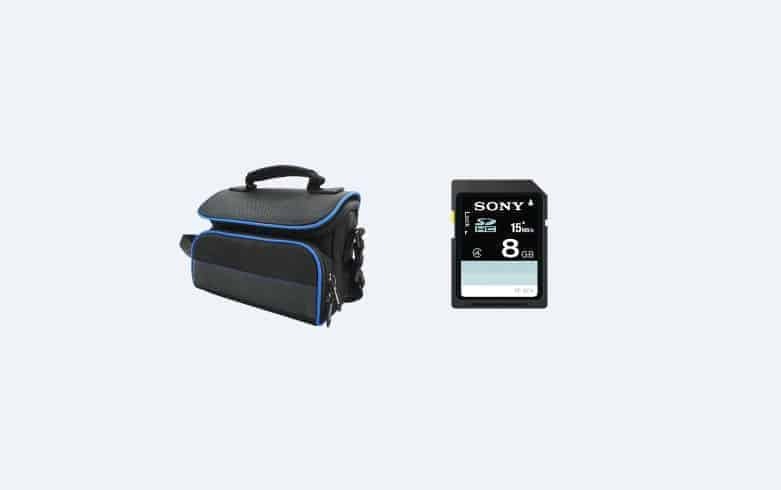 The digital camera also features auto, daylight, cloudy, incandescent, fluorescent, white balance to 1 – 3, flash, one push, one push set which enable the camera to improve and change the resonance and edit it according to your choice. The camera supports SDHC, SDXC, Micro SDHC, Micro SDXC which expands its normal capacity and gives you the advantage of storing wide variety of images and videos. Having AA battery which is chargeable, the new Sony Cyber Shot DSC-H300 20.1 Megapixel Semi SLR Camera is a perfect choice for all the people who enjoy outdoor shooting.